Maybe Red Bull should just stop making energy drinks and dedicate itself full time to promoting events. 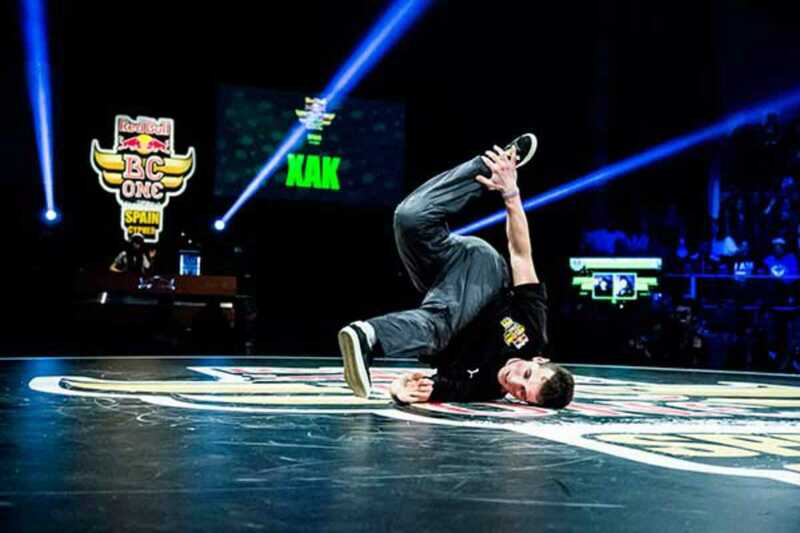 Tonight they bring us the national final with Spain’s best b-boys (don’t call ‘em “breakdancers” – “b-boy” is the old-school term). The five individual winners of regional “cyphers” in Valencia, Gijón, Madrid, Granada and Barcelona – señores Jose’ra, Bhera, Chinolaff, Valen and Kulatas – converge on BARTS tonight, together with the winners of previous editions, for the ultimate battle of the breaks. The mad happenings will also be live streamed. The winner tonight will go on to compete in the West Europe seminals in Madrid, and just maybe the world final in November in Rome.